As previously reported, lawmakers in the state passed HB 1456 in March 2013, which was later signed by Governor Jack Dalrymple. 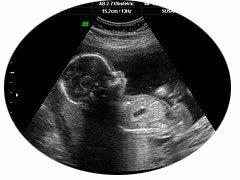 It would require any abortionist in the state to check for a fetal heartbeat, which some note can be detected by medical equipment as early as 12 weeks. However, fetal development experts state that an infant’s heart begins beating just 20-25 days after conception. However, federal District Judge Daniel Hovland, nominated by George W. Bush in 2002, disagreed. In issuing a temporary injunction against the new law last July—as per the request of New York’s Center for Reproductive Rights, which represented the Red River Women’s Clinic in Fargo—Hovland pointed to the 1973 decision of Roe v. Wade. Lawmakers had stated prior to the passage of the statute that the legislation served as a challenge to Roe v. Wade. Attorney General Wayne Stenehjem told reporters following Wednesday’s decision that he is considering whether or not to appeal. “[W]e’ll have to decide what course we want to take from here,” he said.